Mission Statement : To be involved in a range of activities that encompass all things that are part of our eco-system in the Opossum Creek catchment area, such as flora, fauna, land and water health, and to align with the principals” of the Qld Water & Land Carers Group (QWaLC). Work to enhance the natural environment of Springfield lakes. Build awareness of the local environment amongst the Springfield lakes community through provision of education, activities and distribution of information. 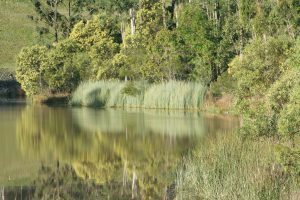 Promote community participation in environmental activities that enhance and protect existing conservation areas/parklands/reserves and waterways in Springfield lakes and the surrounding areas. To become a member you will need to fill in the form and attend the next meeting where your membership will be proposed by a member and seconded by another member.